TORONTO, ON (Canada) – Cattle ranching, agriculture and other human activities are breaking up Costa Rican forests into isolated patchy fragments, but causing more problems for native plant populations than for monkey species sharing the same habitat. A study published in the journal Primates shows that while plants growing near the edges of cleared regions are negatively impacted by human activity, monkeys sharing the same habitat do not fare as poorly. "These results suggest that the monkey species studied are resilient enough to withstand some fragmentation of their habitat," said Laura Bolt, a lecturer in the Department of Anthropology in the Faculty of Arts & Science at the University of Toronto, and lead author of the study. Bolt and her colleagues conducted vegetation and monkey population surveys at the La Suerte Biological Research Station site in northeastern Costa Rica, a patch of tropical rainforest in a largely deforested region. The researchers measured the presence of vegetation and three different monkey species: mantled howler monkeys (Alouatta palliata); white-faced capuchin monkeys (Cebus capucinus); and Central American spider monkeys (Ateles geoffroyi). They compared the density of each species in forest edge and interior regions. Forest edge regions were within 100 metres of barbed wire fences marking the edge of the forest and the start of coconut plantations or cattle pasture, while forest interior regions were more than 100 metres from the edge of the forest. The researchers found less diversity of tree species at the forest edge compared to the interior, and noted that these trees were smaller. In contrast, the monkeys did not show any preferences for forest edge or interior. The results provide hope that primates and other wildlife are able to withstand severe habitat fragmentation. "The rainforest fragment we studied was 3 square kilometres and was large enough that the monkey species did not demonstrate significant adverse effects," said Bolt. "But these monkey species may not be able to live in forest fragments that are smaller without negative effects." Bolt says the study informs conservation efforts for these monkey species and for the Costa Rican rainforest. "People tend to think of Costa Rica as a very green country with large patches of continuous rainforest," said Bolt. "While this represents effective marketing to tourists, the reality is that Costa Rica is deforested in many regions." 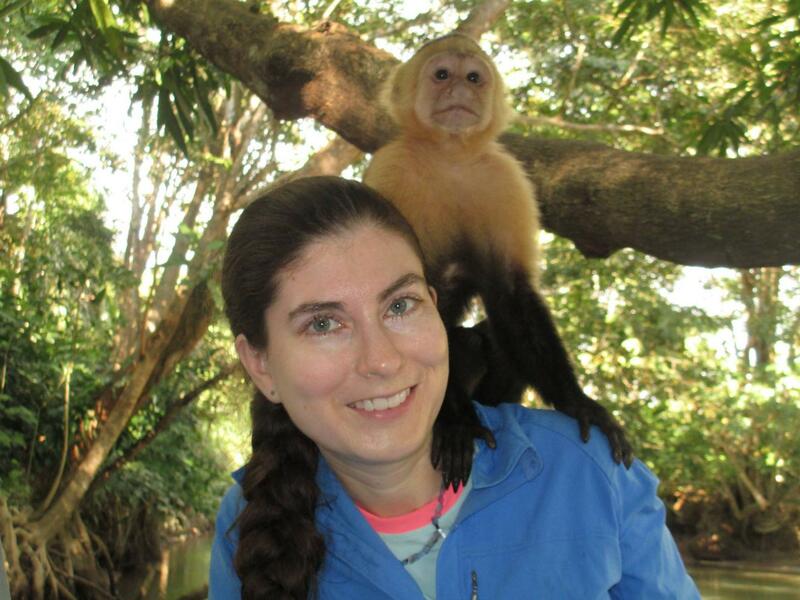 She notes that, "as more and more forests are destroyed in Costa Rica and throughout Central and South America because of cattle ranching and large-scale banana and pineapple production, it becomes increasingly important to understand the effects of forest fragmentation on the primate species that live there." The research was supported by the Maderas Rainforest Conservancy and Regis University in Denver, Colorado.